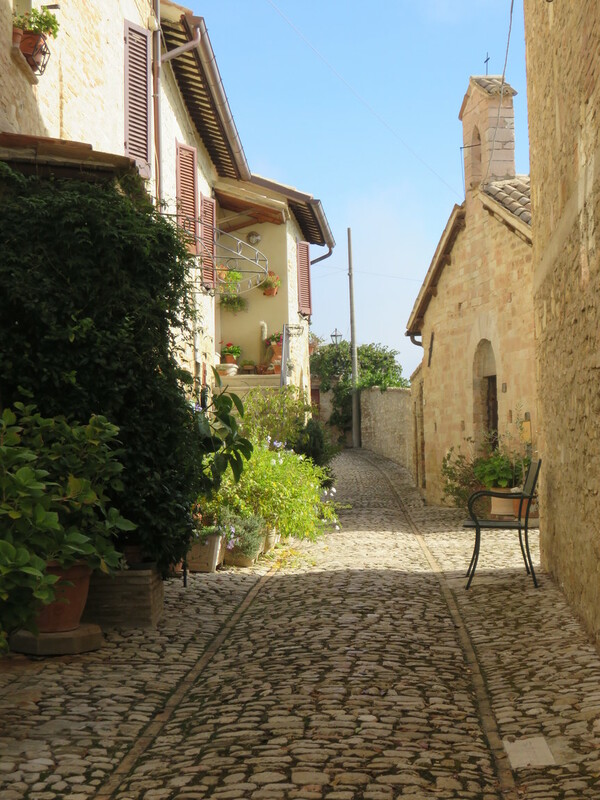 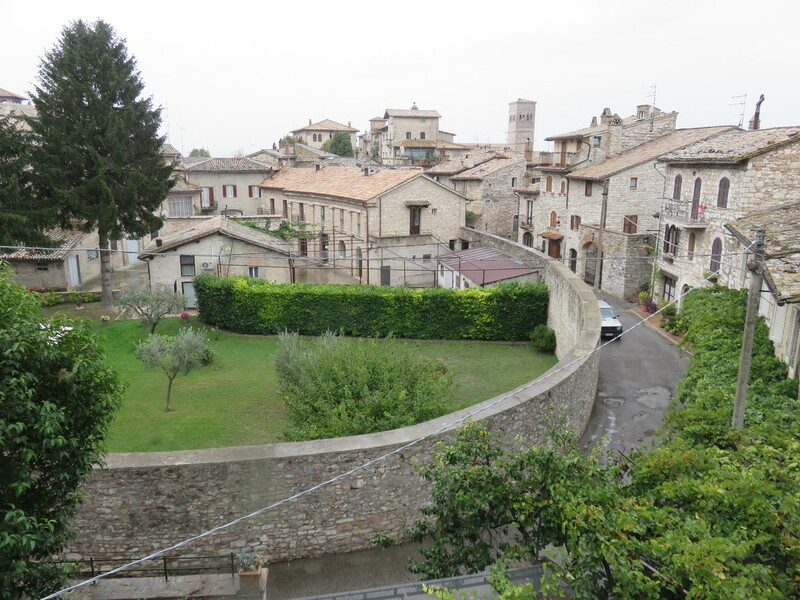 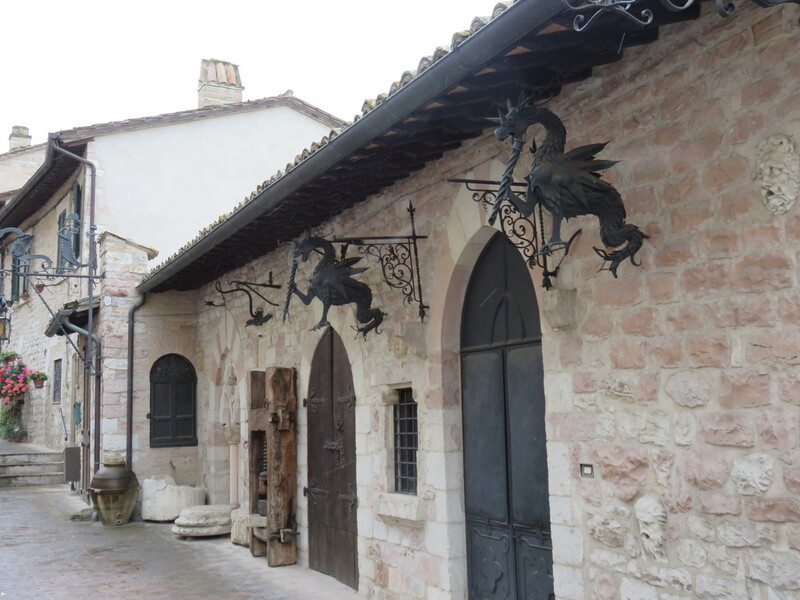 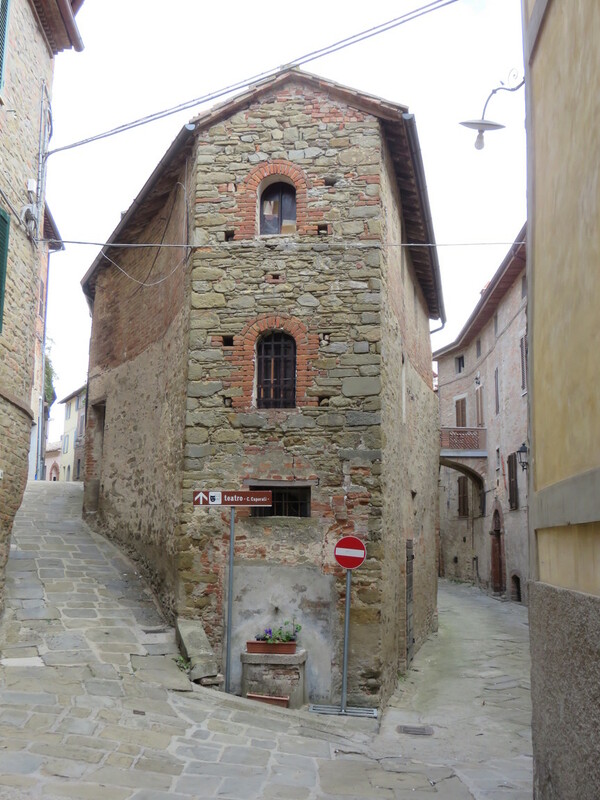 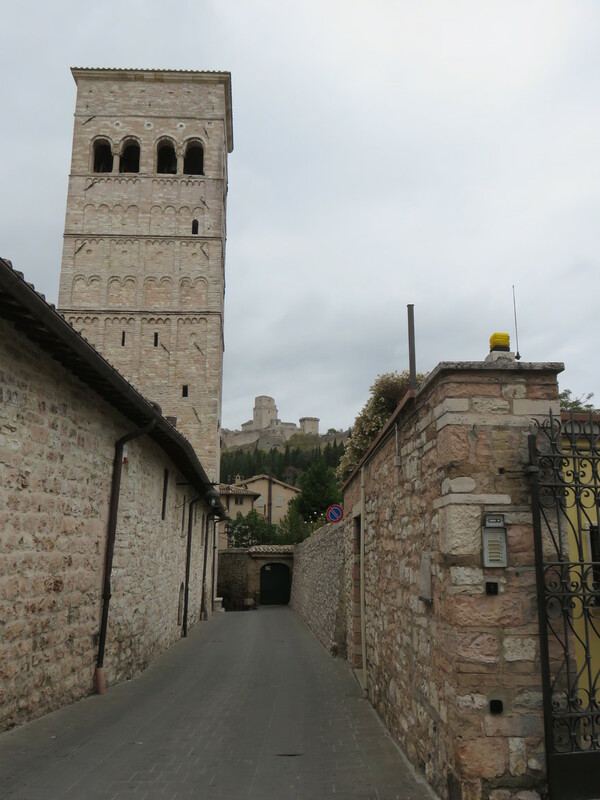 Walking through the hilltop towns in Umbria feels like stepping back in town. 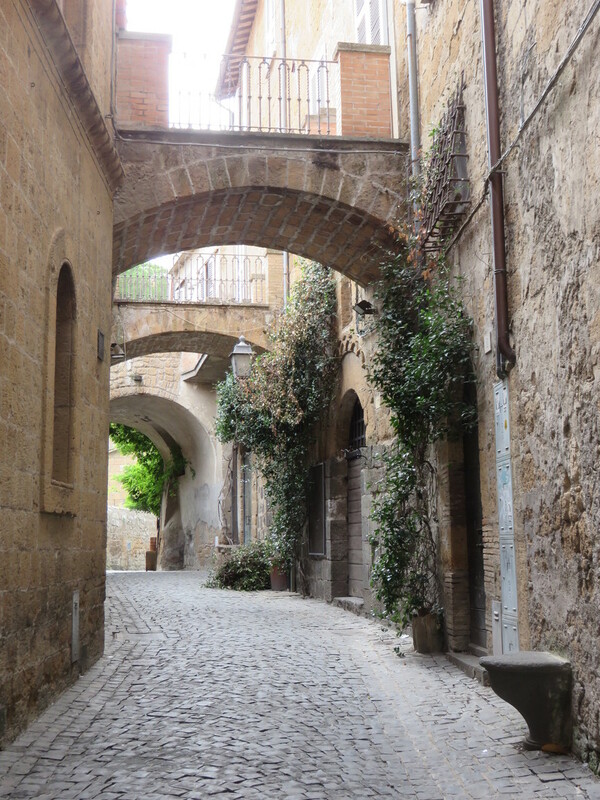 Narrow streets designed when vehicles were horses are now shared by pedestrians and autos. 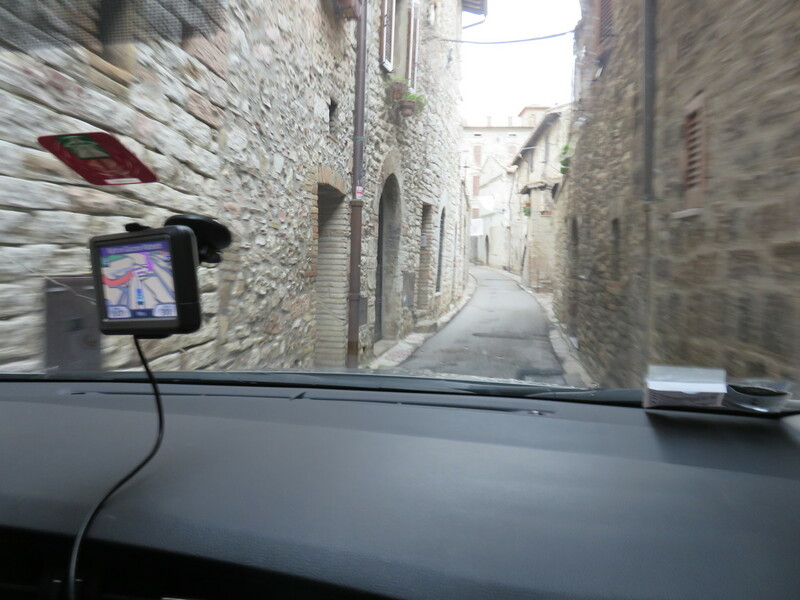 Steep curving streets are so picturesque you can’t help but snap a photo. 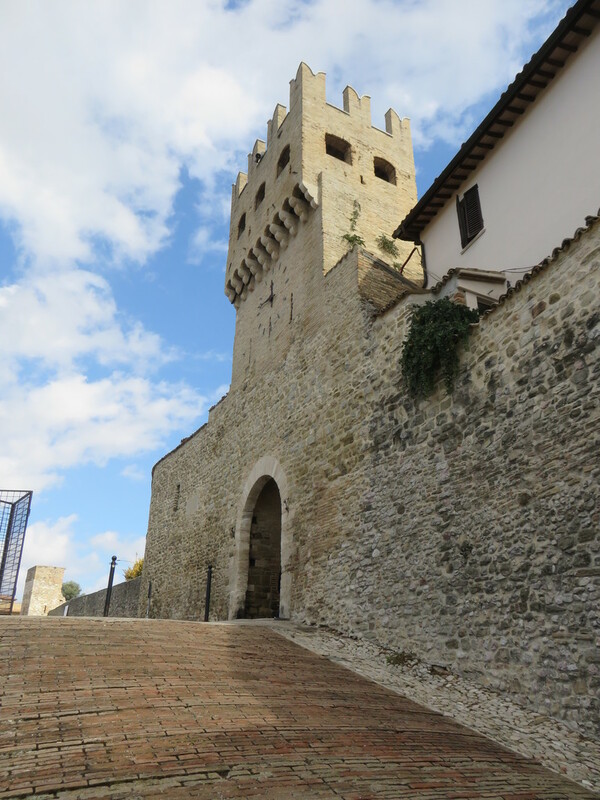 Walls, remnants of walled cities of the past, pop up throughout villages. 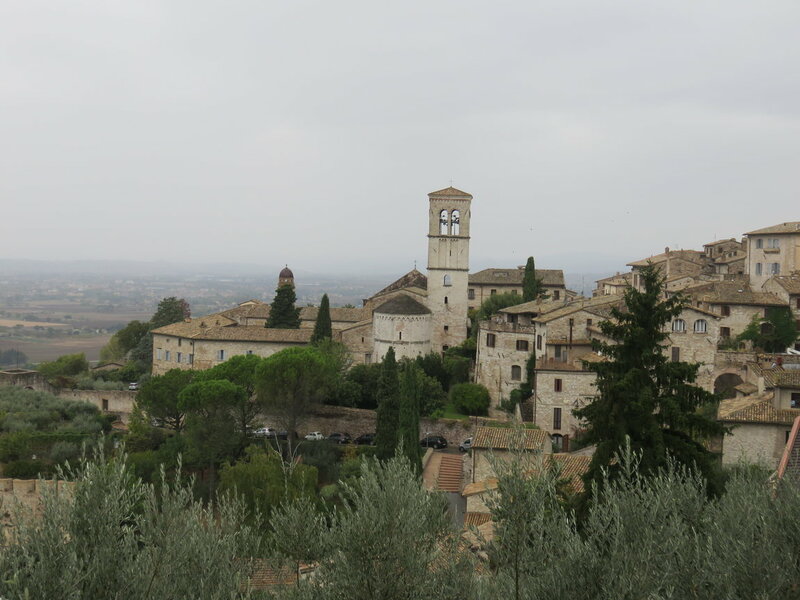 Some of the names of these cities make be familiar, Assisi and Perugia. 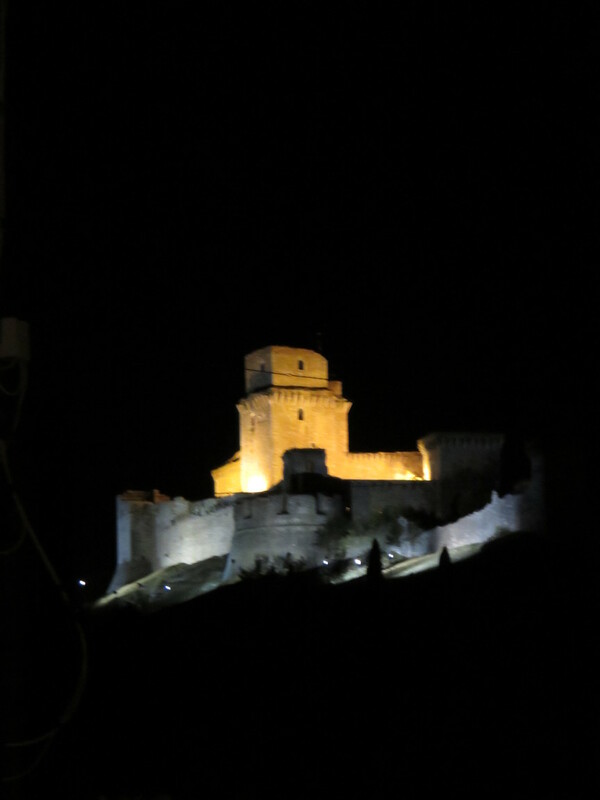 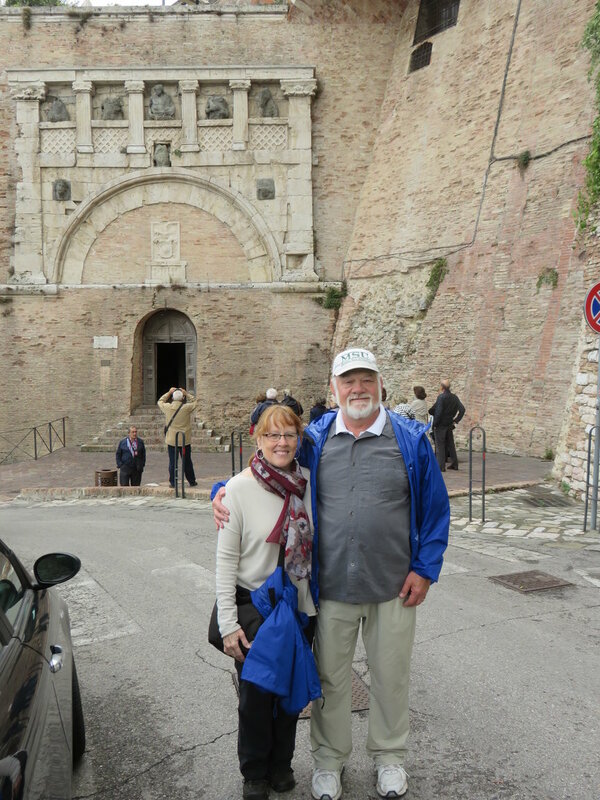 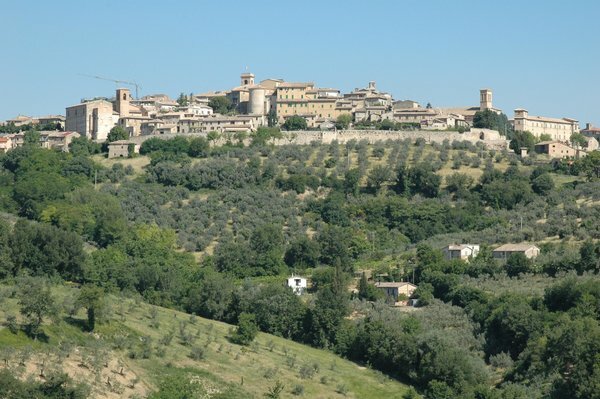 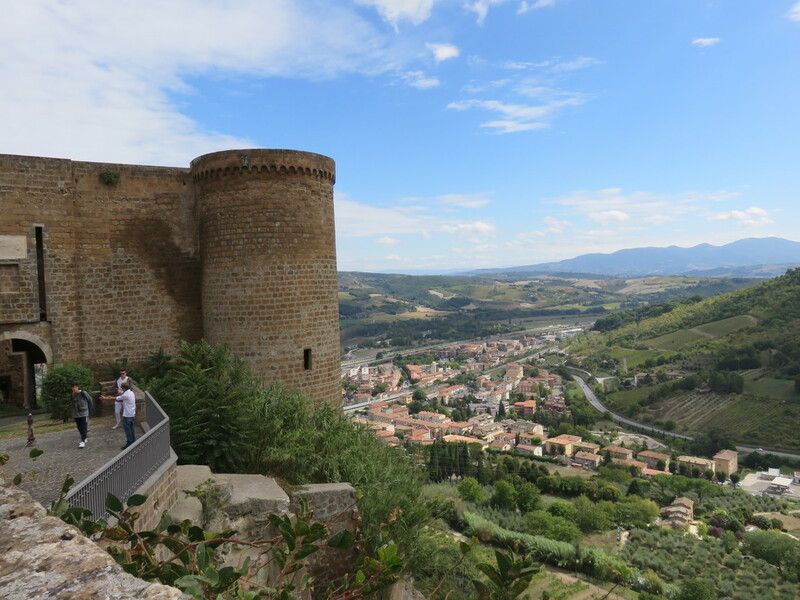 Others maybe not, Spoleto, Spello, Montefalco, Bevagna, Orvieto, Deruta, Citta di Castello, Paciano, Panicale, Gubbio… Yup, I dragged Mike to every one of these. 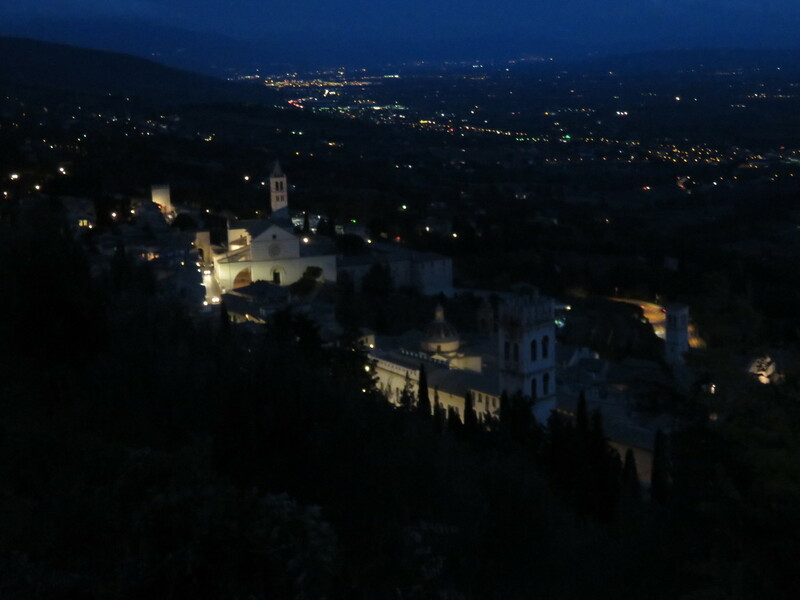 Beautiful both during the day and at night.